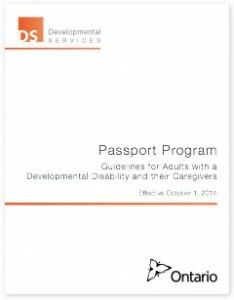 One of the services we offer is Administration of Passport Funds. We take care of all the paper work and we recoup directly from Passport so you don’t need to spend your own money up front. Contact a Community Living near you to learn more. 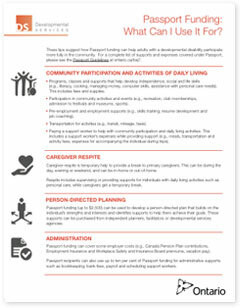 In addition to Passport Funds, there are other ways you can access services from Community Living. Ask your local association about what options are available to you today.